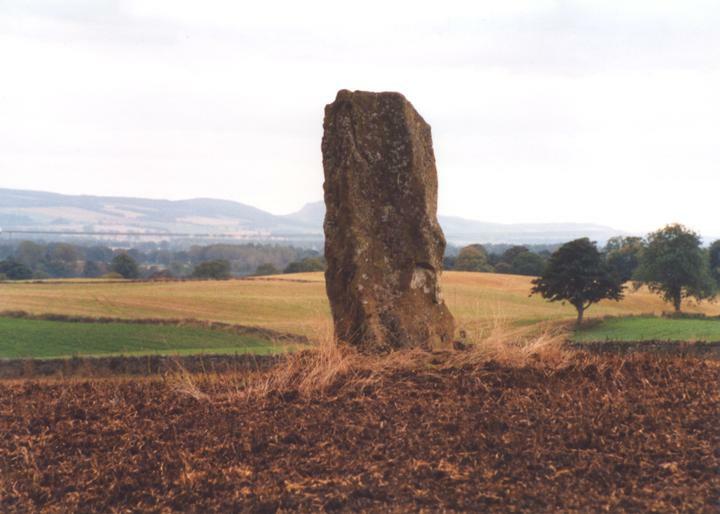 This slab-like standing stone is in a prominent position on the crest of a knoll overlooking Strathmore, and measures 2.0m tall. In the 18th century human remains were found at its base, supposedly the victims of a battle here. Airlie is in the parish of Airlie and the county of Angus.